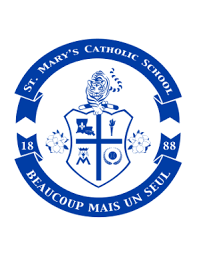 St. Mary's uses several online resources for student learning. Accelerated Reader motivates, monitors, and manages both independent and close reading practice for higher reading growth in grades K-8th. MobyMax is an online learning tool designed to help struggling learners catch up to their grade level and close learning gaps for all students. MobyMax addresses all subjects for K through 8th grades. Mathletics is a captivating online math learning space providing students with all the tools they need to be successful learners. Powerful courses aligned to state-based standards including the Common Core, TEKS and MAFS, from Kindergarten through High School – matched with dynamic tools and reporting for teachers. Mathletics supports and caters to each teacher’s unique blend of student-driven learning and teacher-led instruction.